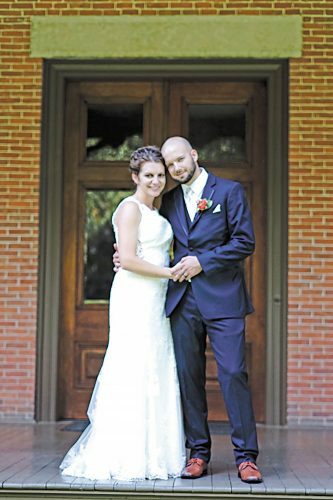 Stephanie Leann Geiger and Eric James Powell exchanged wedding vows June 27, 2015, at St. Paul Lutheran Church in Sulphur Springs. The officiant was the Rev. Hans Scherner. A buffet reception was at the Masters Building at Wyandot County Fairgrounds in Upper Sandusky. 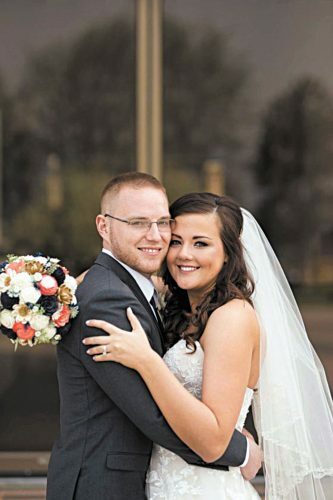 The bride is the daughter of Mike and D-Ann Geiger of Bucyrus. The groom is the son of John and Connie Powell of Republic. 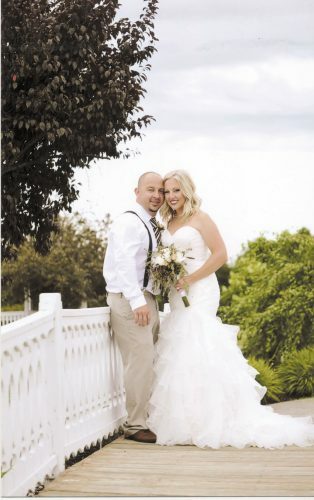 The bride wore an ivory, mermaid wedding gown with a fitted bodice, adorned with light gold embroidered lace appliques. The sweetheart neckline and V back were edged in beading. It had a satin, empire waistband and covered-button back detail. She carried a bouquet of dark purple calla lilies, lavender roses and green hypernicum berries. The bridesmaids wore grape, satin, A-line, silhouette, cocktail-length dresses with scooped necklines that transitioned to low backlines with tank-style straps. The dresses also had ruching at the waist and pockets on the skirt. They carried bouquets of lavender roses, alstroemeria, bupleurum and green hypernicum berries. The groom and groomsmen wore light gray suits with grape ties. 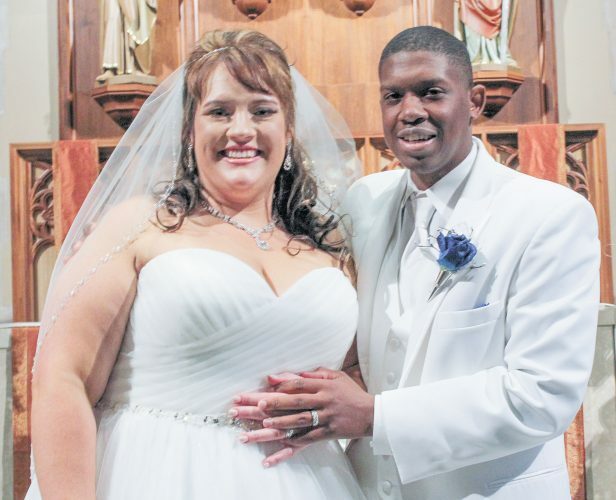 The matron of honor was Ashley Miller of Attica, friend of the bride. Bridesmaids were Emily McLaughlin of Mansfield, friend of the bride; Melissa Bruggeman of Bowling Green, friend of the bride; Carol Kurtz of Sandusky, friend of the bride; and Chelsey Funderburg of Fort Meyers, Florida, friend of the bride. Flower girl was Carlie Geiger, cousin of the bride. Best man was Matt Porter of Toledo, friend of the groom. Groomsmen were Adam Powell of Republic, brother of the groom; Ryan Powell of Reisterstown, Maryland, brother of the groom; Grant Geiger of Bucyrus, brother of the bride; and Scott Scherely of Bellevue, friend of the groom. Stephanie is a middle school language arts and reading teacher at Seneca East Local Schools. Eric is a diesel mechanic at Clyde Truck and Trailer and works on his family’s farm. 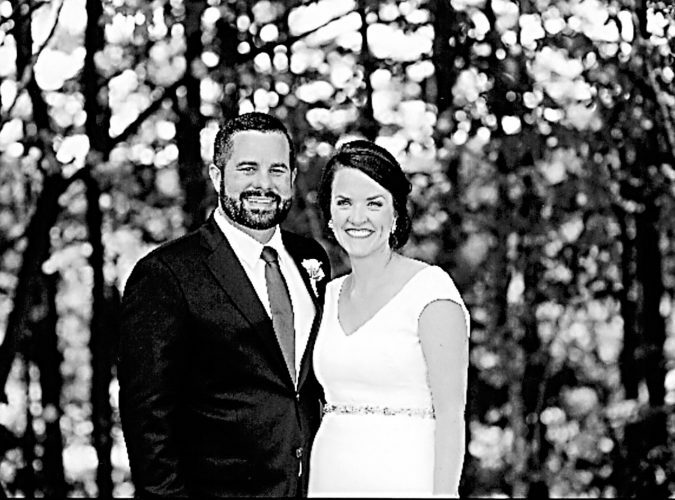 The couple lives in Republic after returning from a weeklong honeymoon to Punta Cana, Dominican Republic.